In this talk I examine the poet Catullus’ treatment of various Roman provinces, from far-off Bithynia to “long-haired Gaul”, considering how Catullus linked geography to cultural identity and behaviours such as urban sophistication. 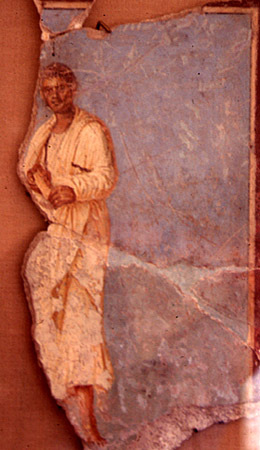 Given the contemporary context in which he wrote (the 50s BCE), Catullus’ presentation of these issues closely connects with his socio-political context: the Roman empire, which was expanding rapidly in his lifetime. Major thinkers in the ancient world, such as Aristotle and Hippocrates, constructed elaborate systems of thought to explain how physical environments shaped the peoples who inhabited them. In contrast to those systematic ethnographies, in Catullus’ collection of poetry we find a series of contradictory perspectives on provincial cultures and locations. Some poems are reasonably positive, but many others present negative views of the provinces, focalised through the hapless “foreign” victims unfortunate enough to cross Catullus’ satirical path. Even Catullus’ own province, Cisalpine Gaul, comes across differently depending on the poem that one reads. In this presentation I survey a series of poems in which Catullus uses the provinces as material for his invective and satire (such as 9, 10, 12, 25, 39, 43, 67, and 81), attempting to trace the historical and literary reasons why Catullus’ views on the provinces were so inconsistent across the collection. Dr Lewis received her PhD in Classics in 2011 from the University of Sydney, Australia. Since 2012 she has been a Lecturer in Classics and Ancient History at the University of Auckland, New Zealand. She teaches Latin language and literature, ancient Greek, and classical civilisation. In her research Dr Lewis specialises in Latin literature and its reception, particularly in the representation of place and space, and in gender and sexuality in antiquity and modernity. She has published articles and book chapters on Catullus and on Catullus’ recent reception. Her recent publications include “Anna Jackson’s I, Clodia: Catullus, women’s voices, and feminist implications” in Classical Receptions Journal 10.2 (2018): 127–48, and “Gender, Geography, and Genre: Catullus’ Constructions of Lesbia in Space and Time,” in The Production of Space in Latin Literature, edited by Efrossini Spentzou and William Fitzgerald, 119–145. Oxford: Oxford University Press, 2018. Dr Lewis has work forthcoming on Catullus’ use of Callimachus in poems 65 and 67, and on space, place, and time in poem 68.